Do I have any Vinylmation fans out there? I have to admit that I didn't really get into them until the Cutesters and Nerds Rock series debuted- now I am always excited to see what they are going to think up next! It should come as no surprise that as soon as I laid eyes on the bride & groom from the Celebrations series I simply had to have them! It also got me thinking- wouldn't these make for an adorable cake topper, wedding favor or special keepsake from your honeymoon? 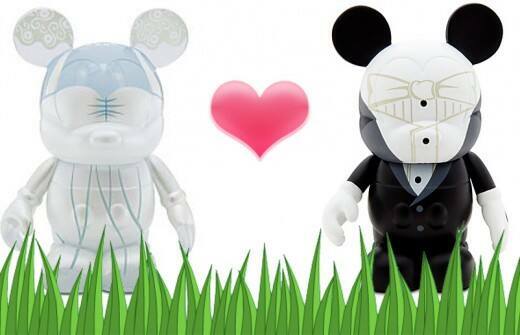 Do you have a favorite Vinylmation? Tweet me your best pic!